Students will learn about similarities and differences in family life by comparing the present with the past. The students will be based at Scott’s Bay where they can explore the historical Scott’s Hut. 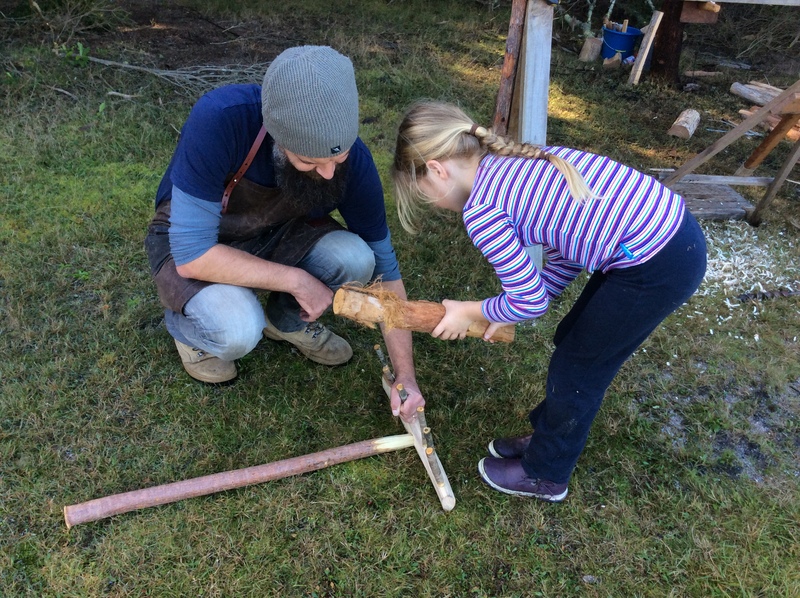 Making things by hand is a theme with students using old tools, cooking damper in a campfire oven and sewing with a needle and thread. ‘Discovering old objects’ is a fun game that keeps the students guessing, and many old fashioned games are set up for the students to join in. 1. How has family life changed or remained the same over time? 2. How can we show that the present is different from or similar to the past? Students explore the historical Scott’s Hut from the outside and discuss Mr Scott and what his life was like. Students examine old pictures and try to determine how Scott’s life may have been different or similar to theirs. Students compare what items Mr Scott would have had in his house to the items that they have in their own houses. They look at kerosene lanterns and help to prepare the lanterns for lighting. Students watch a demonstration of old tools in use and then each student can use appropriate old tools with assistance of teacher / BEEC staff. 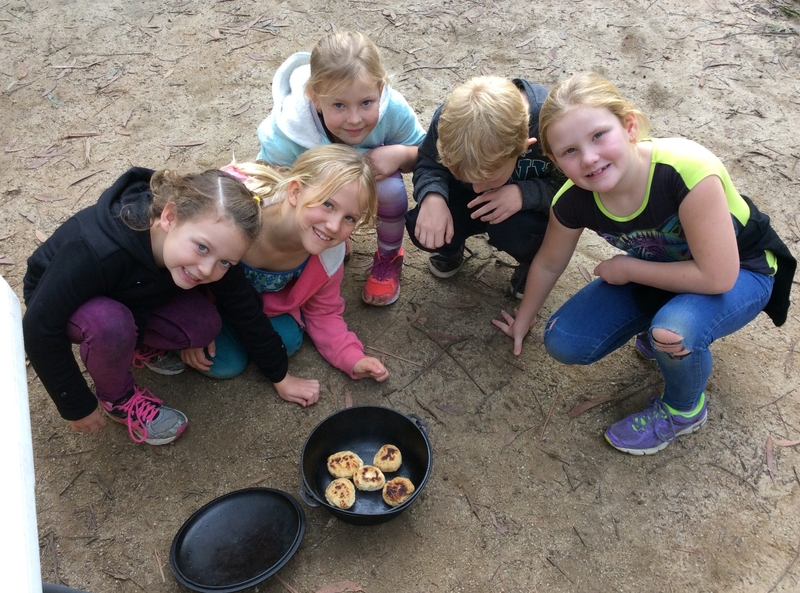 Students make and cook damper in an old camp oven on a camp fire. Students learn to sew with a needle and thread, and then sew the shape of the letter of their name and attach a button. Seven numbered stations are set up in the bush each with an ‘old’ object for the students to discover (candle snuffer, record, egg beaters, wooden pegs, flat iron, etc). Once the students have located the items they need to record what they think the item is and what it may have been used for on a laminated sheet. Students are encouraged to think about, and discuss with their group members what they think the item may have been used for. An old school bell is used to let the students know when it is time to try and find another item. Once all the items have been discovered students revisit the stations as a whole group and discuss each item and what we have today that replaces that item. Students play a number of games that their parents or grandparents may have played including: marbles, elastics, knuckles, rolling the hoop, blind man’s bluff, tug of war, egg (ball) and spoon race, quoits. HT1-1 communicates an understanding of change and continuity in family life using appropriate historical terms. HT1-4 demonstrates skills of historical inquiry and communication. Continuity and change: some things change over time and others remain the same, eg changes and similarities in family life over time. Cause and effect:events, decisions or developments in the past that produce later actions, results or effects, eg how everyday life has changed over time. Perspectives: people from the past will have different views shaped by their experiences, ep different points of view about a significant person or site in the local area.